7. Moderation (and ultimately Wouter) reserves the right to determine sanctions, warnings or other actions necessary for rule or guideline violations. 2. Users should never share passwords or other pertinent account information with other users (including Moderation) and should never allow someone else to access their account. 3. Registration for a Particracy in-game account requires a legitimate, working email address, if a player is found with an illegitimate (dummy, fake, etc.) email address they may be inactivated. This email account will not be shared but will be used for Particracy related emails and updates. 5. The referencing of real-life characters, figures, nations, places, religions, organizations, nationalities (examples: Hitler, Jesus, NATO, Somali, Islam, Christianity, etc.) is strictly forbidden unless mentioned in an Out-of-Character (OOC) nature to convey understanding or provide background. This applies to real-life fictional references as well (examples: Finland, Cindarella, World of Warcraft, etc). Players are encouraged to come up with in-game equivalents. 2. Users active within a nation can request bills be archived (pushed to vote) or deleted (permanently deleted) from their nations "Bills under debate" section by posting links to the bills they wish to be archived/deleted on the Bill Clear Out Requests located at the previously mentioned link. 9. "Nation raiding" or a malevolent coordinated effort by a single user or group of users to interrupt the gameplay, significantly alter the culture or direction of a nation is strictly prohibited. Players interacting in nation raiding will be sanctioned. -- 3d. Moderation reserves the right to inactivate players who are breaking the rules, contribute negatively to the gameplay of others, present a block to RP without reasonable objection or for any other reasonable cause. -- 4c. They have been inactivated 3 or more times for proxy, multing or party sitting violations. This rule is subject to Moderation discretion. -- 4d. Elections are going to be held within the current or next game-tick and reactivation might provide the reactivating user with an unfair advantage due to the reactivation boost users get. 9. Moderation (and to some degree the GRC) reserve the right to query, deny or approve any requests and are permitted to make exceptions to the rules. -- 2b. Players who engage with RP via newspaper posts, in-game messages or other forms of in-character communications are generally accepted to be consenting to the RP. In the event that consent or authorization comes into question, players who have engaged will be counted as voting for or authorizing the RP. -- 5e. RP laws may be abolished a simple majority vote this applies to ANY RP law. Moderation and the GRC reserve the right to declare RP laws invalid with reasonable and justifiable cause. 6. Characters are always owned by the player who originally used/created them. Users can transfer control of character via character transfers located HERE. Characters, noble houses/dynasties or bloodlines who have been inactive for 250 in-game years can be applied for using the aforementioned character transfer thread. 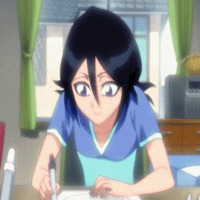 Please note that any request for an "inactive" users characters, noble houses/dynasties or bloodlines must be accompanied by a brief synopsis on the requesters plans for the character. -- 6a. As an alternative, players are authorized to create cadet branches of the primary noble houses/dynasties or bloodlines. For example, the the House of Smith has not been used but we want a Smith monarch, so I create the House of Smith-Johnson, which is related to the main "House of Smith" but is a cadet branch and thus able to be used and possessed by me in place of a character transfer or waiting another 250 years to use the character. Cultural Protocols are a set cultural background for a respective nation within the game. There are two status' that a nation may have: Culturally Protected (meaning a Cultural Protocol was approved by Moderation and the players within the respective nation) and Culturally Open (meaning that the nation has no defined culture). Cultural Protocols are enforced by Moderation and players are obligated to respect them when playing in Culturally Protected nations. A nation may determine its culture via Cultural Protocols. These Cultural Protocols defined in detail the ethnic, religious and linguistic makeup of the respective nation. -- 5a. Constitutional titles and party names (with accompanying Latin-based translation/transliteration) are recommended to be in the language of largest ethnic group or noted lingua franca of the nation listed in the Cultural Protocols. 5. All culturally open requests are subject to Moderation approval. Moderation reserves the right to approve, deny or edit the proposed cultural protocols as necessary. 9. Moderation will take every effort to warn and assist in rectifying Cultural Protocol violations as soon as possible, however Moderation will work following attempts to assist and rectify to inactivate as soon as reasonably possible, Moderation will allow reasonable time for the player to respond and correct their violation. The Global Roleplay Committee (GRC) is a body of players appointed by Moderation to oversee, foster and assist in world building, judgement of RP as well as fostering RP within the game of Particracy. 6. The GRC will be responsible to mediate disputes related to RP, "nation raiding" and other aspects of Particracy related to RP. Information related to disputes will be shared with all members of the GRC and is not limited to private messages in-game, on discord or other forms of communication related to the dispute at hand. The Global Role Play Accord (GRA) permits the Global Roleplay Committee (and Moderation to a degree) to assist in ranking and determining a nations economic, military and political strength. Please note that the Global Roleplay Accord is an opt-out system, meaning that every nation is opted-in and only through consensus can players remove themselves from the rankings. Nations that opt out of the GRA are still subject to the basic RP rules and Moderation will step in when necessary. 3. Moderation reserves the right to do query, deny or approve opt outs to the GRA and any players who intentionally mislead or provide misinformation regarding the GRA, Moderation or the GRC will be subject to sanctions.